The 33% shareholding in the Shenzhen-based company is worth about US$166bn, while Naspers itself is valued at $124bn. There’s no reason for a discount at this “unusually high level”, chief financial officer Basil Sgourdos said in a phone interview on Wednesday. Naspers sees food delivery as a particularly good opportunity, and is seeking more deals in the industry after the €660m purchase of shares in Germany’s Delivery Hero in September, he said. That business sits alongside iFood in Brazil, Swiggy of India and Mr Delivery in South Africa in the company’s portfolio. Other e-commerce investments include online travel agents in India and education software providers in the US. The CFO was speaking after Naspers reported a 65% increase in first-half adjusted net income to $3.50/share. That compared to 31% growth the previous year, and was about in the middle of a range forecast by the Cape Town-based company on 17 November. Tencent earlier this month posted third quarter net income that beat estimates. 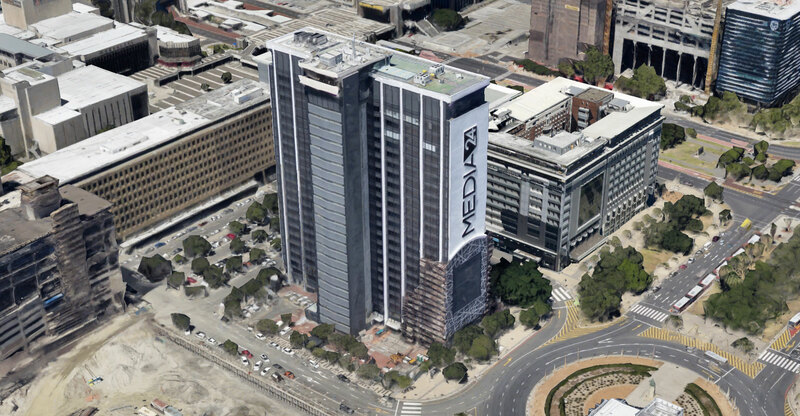 Naspers shares rose 1.5% to R3 834.97 at the close in Johannesburg, extending the year’s gains to 91%. It’s the year’s best performer on the FTSE/JSE Africa Top40 Index. The company should buy back its own shares to take advantage of the discount to Tencent, veteran emerging markets investor Mark Mobius said last month. I told them to do this in 2012 and was shot down for suggesting it. Now they start doing but they are going to do it the wrong way as with all their businesses.